Ross Hamamura was recently on assignment at the Bellagio, shooting some sample images and videos for Sony using their RX1 35mm, full-frame camera. While he loved the camera’s low light performance, there’s one area where no amount of light sensitivity is going to make your work look any better - video. 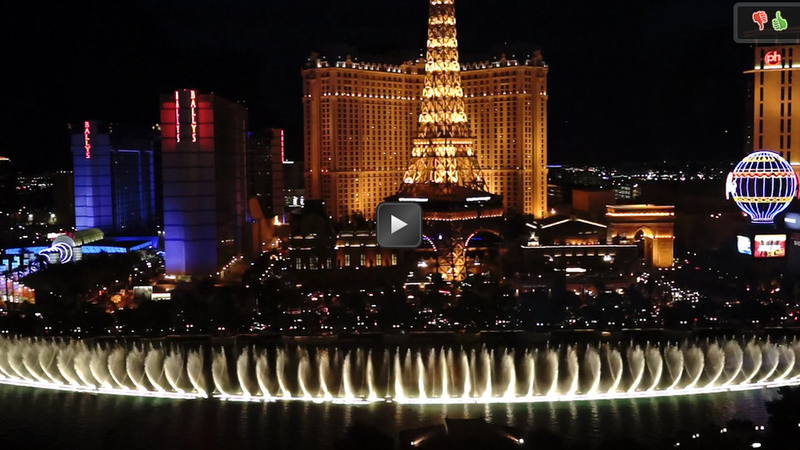 Using his black aluminium MeFOTO GlobeTrotter, Ross took a shake-free video of the Bellagio’s famous fountain, choreographed to Andrea Bocelli’s Con Te Partiro. Check it out over on his SmugMug gallery along with his other photos from the trip. Aside from shooting video, Ross plans on using the monopod option to photograph sports. See some of his sports work here and check out his review of the GlobeTrotter on his blog, Tourist of Light. All images and quotes in this post are used with permission and ©Ross Hamamura, all rights reserved; story is ©MeFOTO. Please respect and support photographers’ rights. Feel free to link to this blog post, but please do not replicate or re-post elsewhere without written permission.